Rob Akins has been consecutively voted one of the Top 50 Golf Instructors in America and has been recognized by popular golf publications including Golf Digest and Golf Magazine. Currently Rob is ranked 22nd amongst Golf Digest Top 50 teachers. Rob grew up in Shreveport, Louisiana and began golfing at the age of seven. By the time he turned fifteen Rob was already teaching for Shreveport Parks and Recreation in Shreveport, LA. 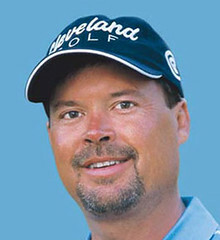 Rob went on to Louisiana Tech on a golf scholarship from 1983-1987. Following college, Rob turned pro in 1987 and taught at two different private clubs in Birmingham, AL. In 1989 he moved to Memphis, TN and began instruction in the Mid South. 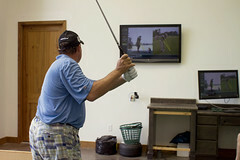 In 2000 Rob became the Director of Instruction at Spring Creek Ranch. Throughout his career Rob has mentored and taught PGA Tour Players that have collectively won three Majors, Seventeen Tour events, one national amateur championship and four state amateur championships. He has also mentored aspiring Junior players to collegiate careers. 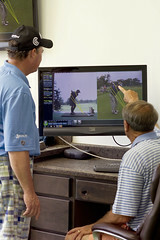 Today, Rob continues to teach professionals and nonprofessionals at the Rob Akins Golf Academy at Spring Creek Ranch. 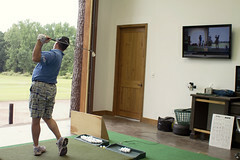 A life long dream realized, the Academy will further help Rob and his students to reach their golfing dreams. In Rob's free-time he enjoys hunting, fishing and cooking and is married with three boys. Currently writes for Athlon Sports and is creator of the "Elite 8"